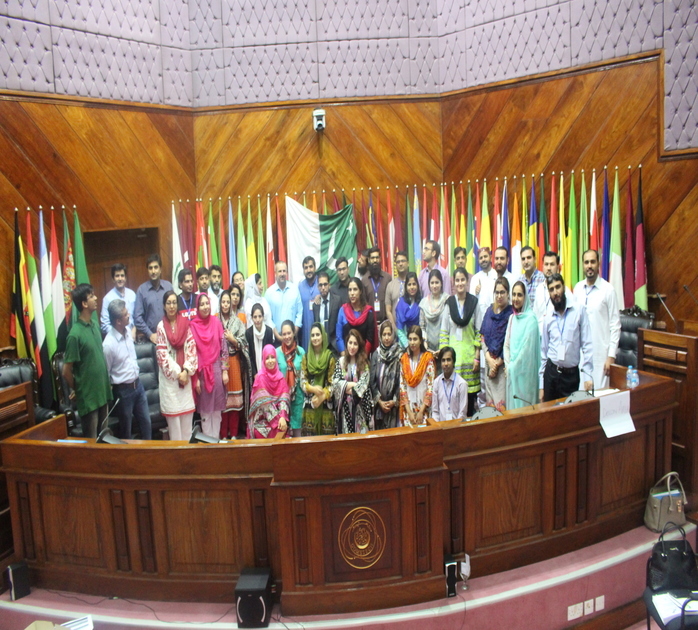 Pakistan Biological Safety Association (PBSA) in collaboration with Fogarty International Center (FIC) hosted a five day Wet Workshop in COMSTECH Islamabad from July 1 to July 5. 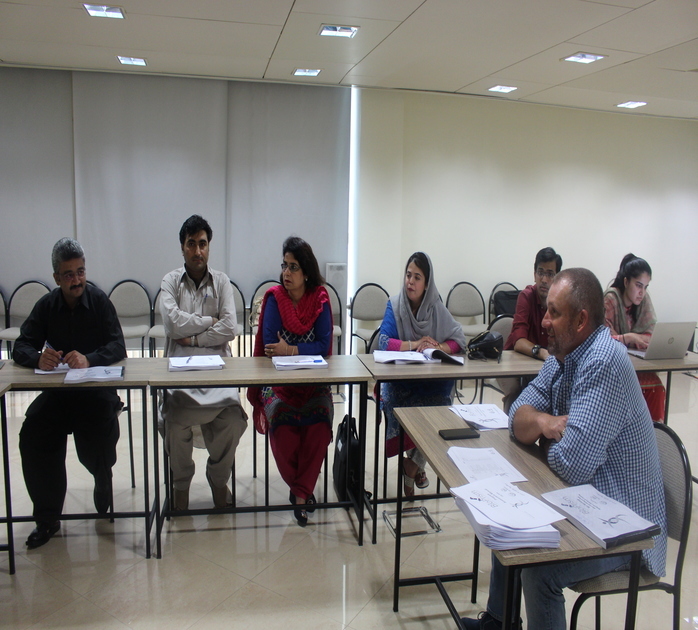 Participants were trained in biorisk management by Sean Kaufman, founder of Safer Behaviors. 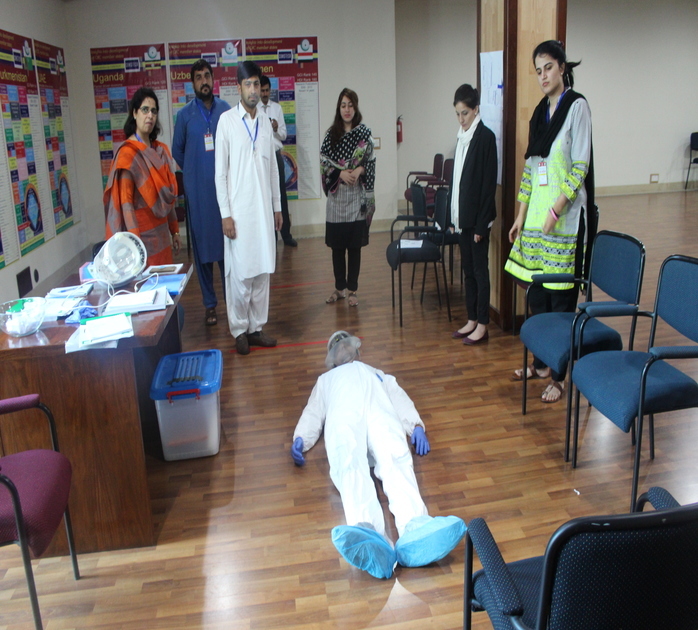 The participants were exposed to different scenarios in the lab such as evacuation, needle stick injuries, and dealing with an unconscious individual. 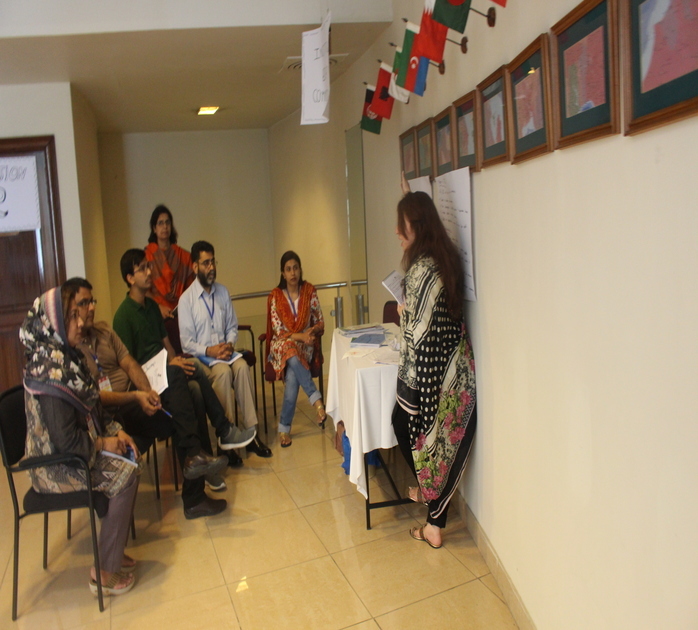 The participants were also told to present on different topics on the last day, which also enhanced their communication skills while dealing with mental noise, disturbances caused by participants, and workshop scenarios. It was concluded successfully, and eligible participants of this wet workshop will become trainers in their institutions and future PBSA workshops. 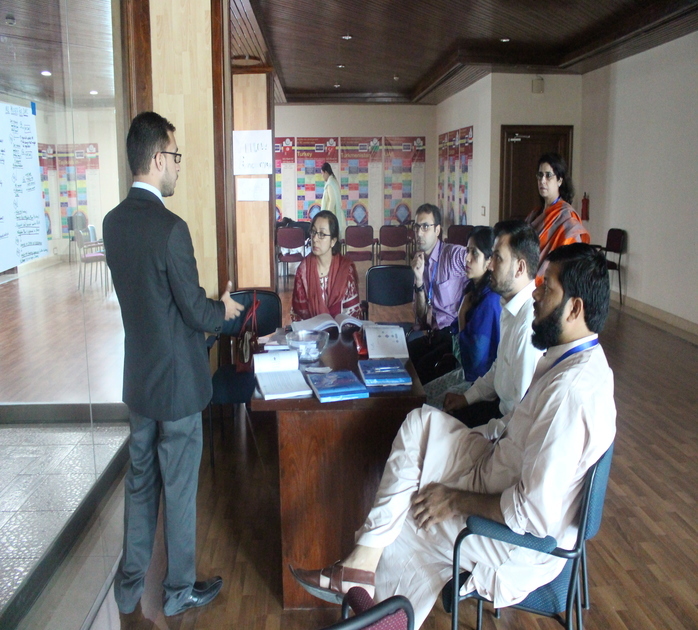 Facilitators providing lectures to participants.